Is Pain an Inevitable Part of Growth? Dealing with the pain of any mental illness is not something that we look forward to. No one rejoices in their depression or anxiety. That would be quite contradictory. These states of mind are quite unpleasant, and all we can think of is how to avoid them. However, pain in life is often inevitable because it comes bundled with the human experience. But just as pain is unavoidable, so is our own transformation. We don’t have much choice in these matters. We are being pulled towards what Carl Jung called individuation, to become integrated over time into a well-functioning whole, mature person. Many people who have gone through and come out on the other side of an anxiety disorder or a panic disorder or depression can tell you that their lives have been positively shaped by their illness. Even though in the past, they have been troubled and pained a lot, in retrospect, metaphorically speaking, they can only see their suffering as a consequence of trying to fit into a pair of pants that they’ve long outgrown. The pain that you experience is a result of you having outgrown your model of reality. You may experience it as depression, anxiety or whatever you choose to classify it as. The way you used to make sense of the world is no longer valid anymore. Something has changed. Judging by the above example, pain can be seen as quite transformative. However, instead of seeing it a causal relation, I think it would be more apt to visualize transformation as a process that occurs side by side of painful experiences. 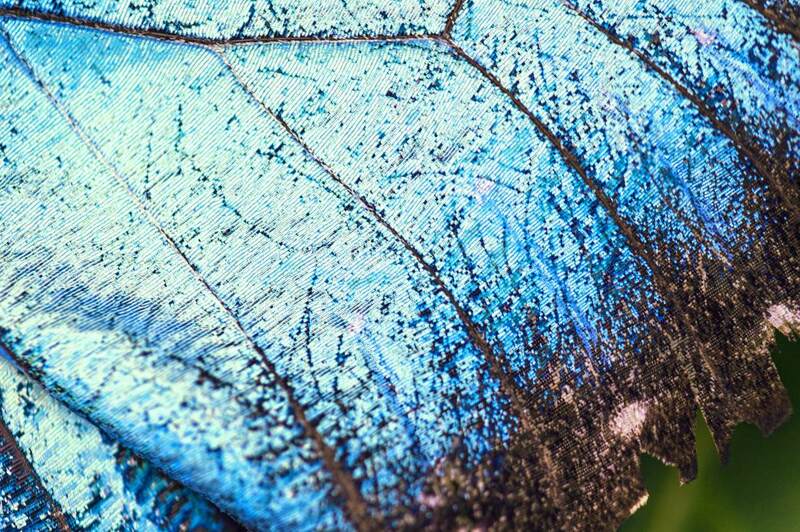 A caterpillar undergoing metamorphosis breaks down most of its original tissue and re-uses them to create new body parts. Guided only by instincts, the caterpillar builds a protective cocoon around itself, and patiently gives in to the thunderous and rippling forces that tear it apart and eventually it rebuilds itself from the inside out. 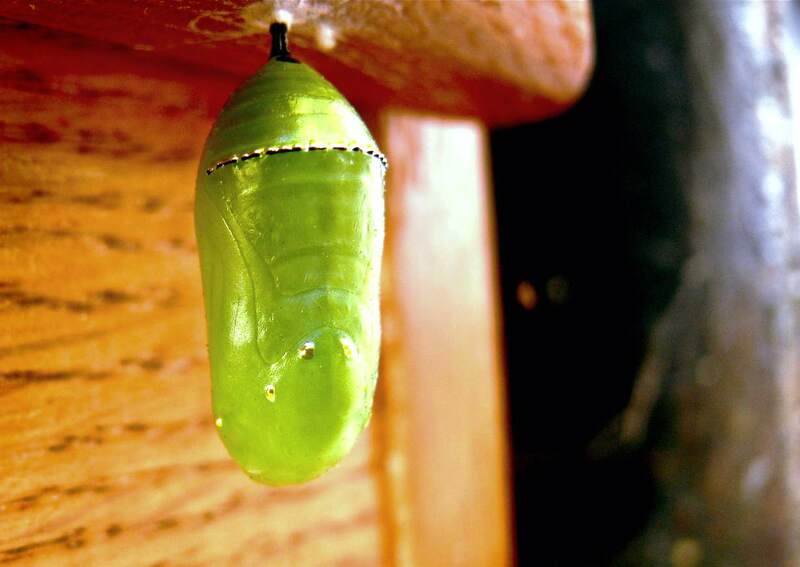 I’ve often wondered what it must be like, from the caterpillar’s perspective, to undergo such a profound change. Does it feel any pain when most of its’ body parts are broken down by enzymes while it just hangs inside the cocoon, not knowing what is happening to it? I sometimes question whether the pain that I experience in my anxiety, bouts of sadness and uncertainty about my future is the same kind of pain that a caterpillar might experience during its metamorphosis. Of course, we have no way of knowing the physical and mental anguish that the young butterfly is going through as it molds. It may very well remain anesthetized during the entire process, thus shielding it from any writhing pain. I’m just using my creative imagination here to compare a biological metamorphosis with a psychological one. Comparably, like our caterpillar cousin, when we are born we are mostly concerned with consumption (of food, knowledge and other resources). Perhaps just like the pupa we are preparing ourselves for the tough terrain ahead. It isn’t until adulthood that we start to feel the weight of real life; whether we like it or not we are forced to reckon with jobs, bills, relationships, heartbreaks, failures, success, family (or lack thereof), and many other callings. We are called to transform at many levels and this transformation almost always occurs in parallel with pain. Pain can often signal that a change is necessary or inevitable. We may experience it as depression when our values are not in alignment with the life we are leading. We may experience it as anxiety when we are stuck in job or career where our heart is not. We may experience it as dread when we learn that we have a terminal illness and haven’t come to terms with our own mortality. Seen retrospectively, it can almost be concluded that every time we move into a painful phase in our life, life is preparing the stage for a transformation to happen. Maybe, just maybe, if we understand this innate knowledge, then we can choose not to suffer unnecessarily, while still experiencing the unavoidable pain. Almost every adult I know has experienced some kind of growing pain as they get older and mature. 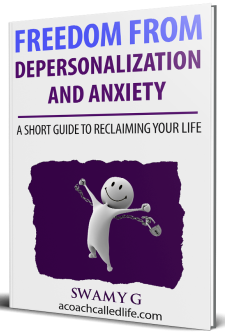 In my own experience, I went from the happy kid to dealing with my dad’s cancer and eventual death, being unfulfilled in my career and the eventual existential crisis involving much anxiety, depression, depersonalization and various painful experiences. I did not choose these, just like the caterpillar did not choose to undergo its metamorphosis. Life happened, and I was dragged on along with it, whether I liked it or not. Not every experience was painful, there were some really pleasurable ones along the ride, but the majority of my 20s were spent in failed ideas, hopelessness, boredom, scary thoughts, painful feelings, making the same mistakes over and over, eventually learning and coming to terms with my own limitations, finally realizing a truth only to be tackled by a new set of issues all over again. But I wonder if I can see this pain as the collateral I paid for my own transformation. Are the painful feelings that I felt just the side effects of my inevitable metamorphosis? Sure, I didn’t grow beautiful wings and start flying around, but I do see drastic changes in both my physical and psychological self over the last 10 years. And what can be said about physical pain that is true for psychological torment as well? For example, to become what they desire, an athlete works day in and day out in the field, and a body builder goes for the last pump, even though his arms start shaking and he is squirming in pain. One difference here is that the athlete or the body builder accepts this pain as collateral for the gains they wish to make. Viewed within this context, this pain can become tolerable. They expect to experience great difficulties during their training, and to even be sore for the next day or two. I wonder if the psychological pain we experience in life can be viewed in the same context. That it is inevitable and is part of the transformational gain we aim to make. Though pain can serve as an indication of change, it is not the source of it. It is not through pain that we transform, but simply because it is our intrinsic telos to move toward physical and mental maturation. But just as this metamorphosis is inevitable, so is the pain. So instead of championing this pain, like some athletes do with their “No Pain, No Gain” mentality, can I embrace it as an unavoidable aspect of growth? Or, instead of finding ways to escape all my personal pains, through various distractions, can I instead accept it as a sign of development and walk along side by side? – In teleology, telos is the concept of an end purpose. For example, the telos of an acorn is to grow fully into an oak tree. Similarly, the telos of a human being can be postulated as achieving self-actualization. Thank you Monique, I’m glad you enjoyed.